Electromagnetic Engineering Fundamentals are meticulously applied by SiberSci, LLC to solve every problem, and these fundamentals were defined by Prof. J.C. Maxwell. 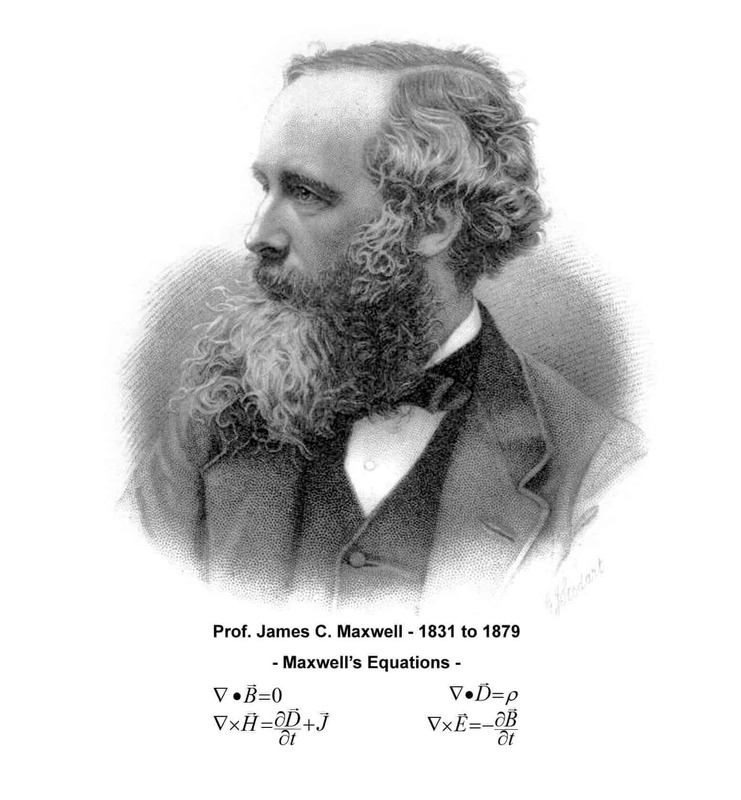 Prof. J.C. Maxwell unified electromagnetic theory in 1873, which provides engineers with the theoretical foundation necessary for performing RF, Microwave, Millimeter-Wave, and Terahertz engineering tasks. These electromagnetic engineering principles are rigorously applied daily by SiberSci, LLC for the analysis, design, and optimization of every component, circuit, or system to meet or exceed client specifications. Antennas – Development of new antennas, or solving antenna performance problems. Microwave Devices and Circuits – Development of new microwave components, circuits, or systems, as well as solving circuit performance issues for existing assemblies. Microwave Heating – Temperature dependent material characterization, and microwave heating system design, fabrication, and optimization. Millimeter-Wave Devices and Circuits – Development of new Millimeter-Wave components, circuits, or systems, as well as solving circuit performance issues for existing devices and circuits through 300 GHz. RF Devices and Circuits – Development of new RF components, circuits, or systems, as well as solving circuit performance issues for existing devices and circuits. RF Heating – Temperature dependent material characterization, along with analysis, and design of optimized RF heating systems. Terahertz Devices and Circuits – Development of new Terahertz components, circuits, or systems, as well as solving circuit performance issues for existing devices and circuits through 1.5 THz. Vacuum Electronics – Design and analysis for solving Vacuum Electronic Device performance issues for existing circuits and systems, and for the development of new circuits or systems. Learn more About the services provided by SiberSci, LLC. SiberSci, LLC provides clients with both Long-Term and Short-Term Contract and Consulting resources to address their individual Electromagnetic Engineering needs. This includes services for research, design, development, prototyping, optimization, and manufacturing of devices, circuits, and systems for individual clients. Services are also provided for failure analysis of devices and circuits, as well as reverse engineering of competitor devices and circuits. Finally, technical support is provided for the creation of new patents, as well as reviewing existing patents to identify weaknesses, and assisting clients to avoid infringement. Technical expert testimony can be provided for various situations. Therefore, if you seeking assistance with solving an Electromagnetic Engineering problem, then contact SiberSci, LLC by telephone or e-mail to initiate a discussion of your requirements. A Non-Disclosure Agreement (NDA) will be negotiated and executed to protect your Intellectual Property (IP) before the details of your project are revealed. A quote is provided at this time for services to be rendered, along with a contract defining the work to be performed for the client. SiberSci, LLC is looking forward to working with you on your project and solving your problem(s) in one of our eight areas of Electromagnetic Engineering expertise. SiberSci, LLC is ready to begin solving your Electromagnetic Engineering problems today. Electromagnetic Engineering is our core area of expertise and the foundation of our consulting business.